Fish are cold-blooded animals that live in water. They have a streamlined body design and are covered with scales that reduce friction. Most are excellent swimmers. There are over 27,000 species, making them the most diverse vertebrates on Earth. 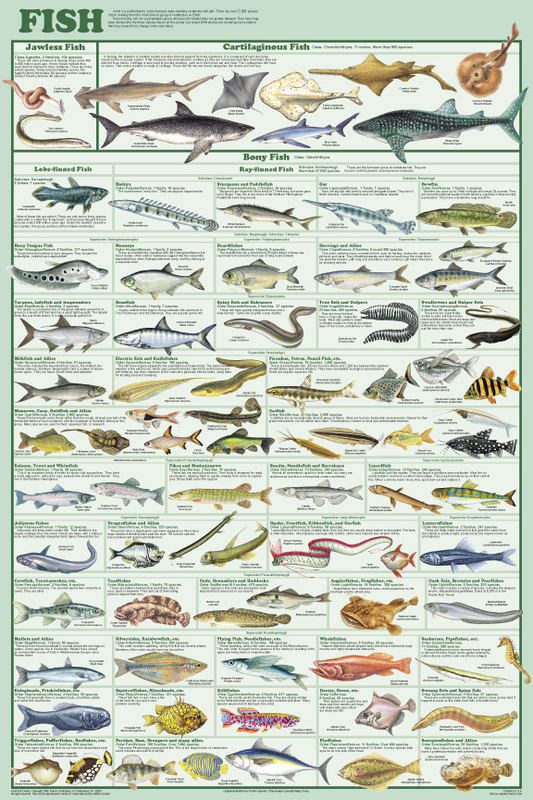 This poster shows the three major clades: the jawless fish, the cartilaginous fish and the bony fish. The latter dominates the poster, as all the orders / clades are explored.